Bob Martin Disinfectant kills germs, viruses and bacteria. Use regularly on pet equipment such as feeding bowls, water bottles, cages, hutches and kennels to keep them clean and hygienic. 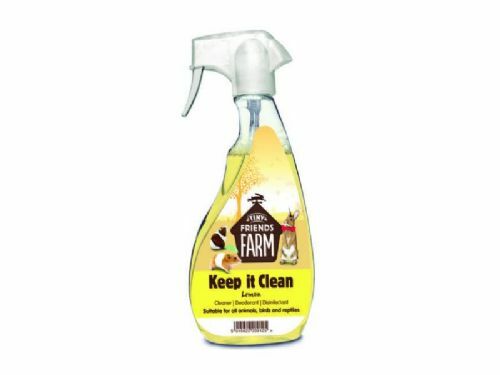 Supreme Keep it Clean Disinfectant Cleaner is a range of fresh smelling products which ensure your small pet's environment stays hygienically clean.